hope you're all well and have had a jolly weekend! i have had so much school work to do, i have my spanish oral exam in april and i am so nervous! i'm having to do it a year early because i am 'gifted and talented' apparently. 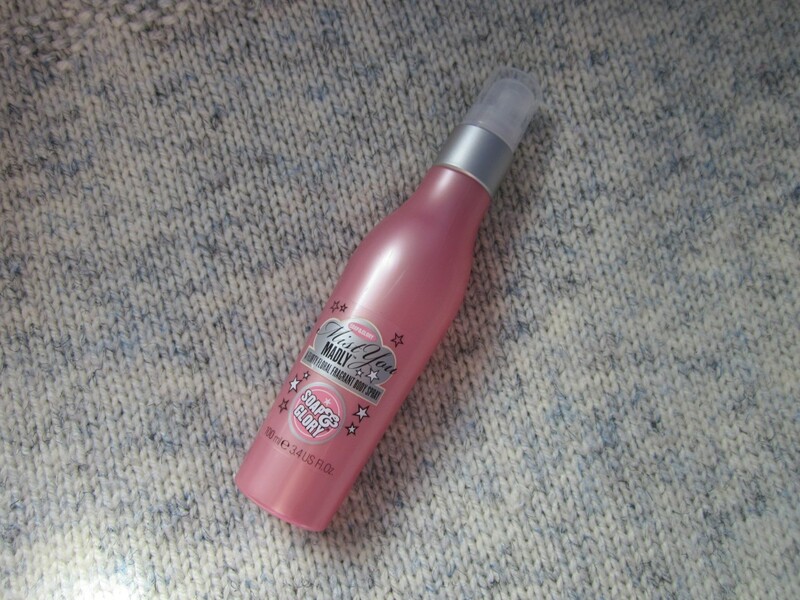 anyway, today i thought i'd do a review on soap & glory's mist you madly body spray which is available at boots for £3.50 for the travel size, which is the one that i got, or it is £6.50 for full size. "Soap & Glory Mist You Madly™ Body Spray 250ml is a flirty, floral, fragrant body spray featuring notes of bergamot and blackcurrant, magnolia, freesia, vanilla and musk." 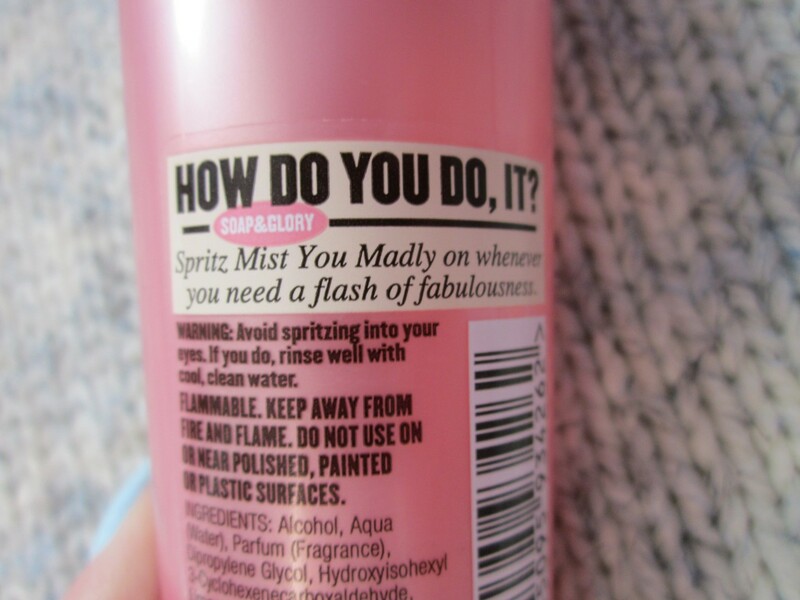 So, overall i love this body spray and shall definitely be repurchasing when it runs out! Thank you for reading! Have you tried this? What are your thoughts? Oohh.. PS i now have a blogger button, so if you'd like to swap just leave a comment down below or contact me some how! 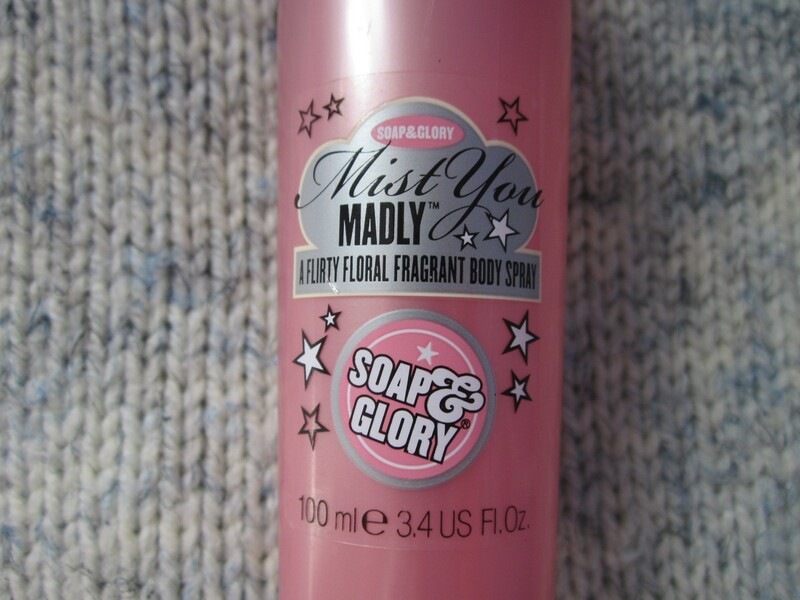 13 comments on "soap&glory mist you madly review"